Something I look forward to each Autumn are the vibrant flavors of persimmons. They have come to symbolize Thanksgiving for me and I have always been in love with their brilliant color. They also make great cookies, which is a tradition in my family, to make cookies from freshly harvested persimmons. 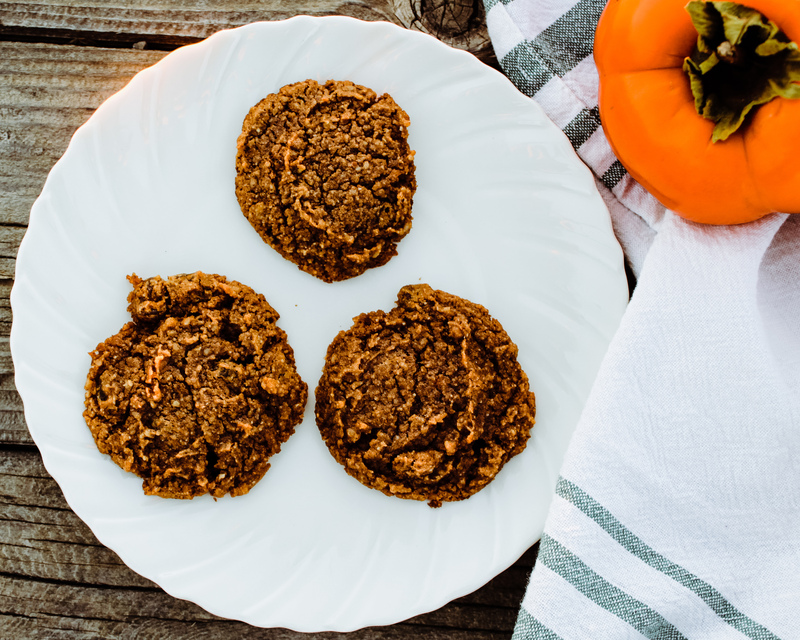 The only problem is due to my food allergies, I am unable to eat our heirloom persimmon cookie recipe. I’ve spent a lot of time in the kitchen trying to get an updated recipe just right. The consistency is a little different, as it will be when not using wheat flour, however the flavor is the same! Time to go grab some persimmons and try one of our family favorites of the season! Let me know what you think! Combine persimmon pulp with baking soda, coconut sugar and shortening. Beat throughly until creamy. Add egg. Mix flour, sifted spices and salt together. Add to creamy mixture; blend well. Add nuts and raisins and mix thoroughly. Drop by spoonfuls on greased baking sheet. Bake at 350 degrees for 12-15 minutes.